This special collection is available for use in the Library by appointment. Contact the Special Collections Librarian for assistance or appointment, or use this form. For highlights of the most frequently consulted works in this collection, as well as links to Lasallian Studies research sources available online, see the Research Guide for Lasallian Studies. 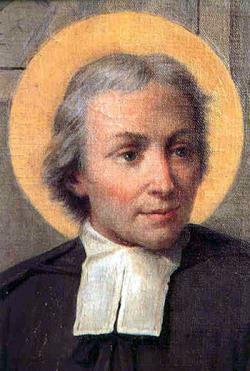 John Baptist de La Salle (1651-1719), the Founder of the Institute of the Brothers of the Christian Schools, was canonized as a Saint of the Roman Catholic Church in 1900. With the flowering of the Catholic spirituality in the late 17th century France, diverse religious influences prior to De La Salle's own lifetime found expression in his works. He is important for his subsequent influence upon religious life and practice through the Institute he founded, initially in France and later throughout the entire world. A brilliant spiritual writer, an innovator in matters catechetical and pedagogical, a mediator of the best in the Roman Catholic theological tradition, De La Salle's enduring reputation corresponds to the very real influence he continues to exert, however indirectly, upon contemporary Catholicism. The Library for Lasallian Studies originated as a collection of works by and about De La Salle, the history of the Institute, and writings by many of its prominent members (ca. 2,000 titles). This collection is not archival but rather a research collection of printed sources; it does, however, include a number of rare titles with manuscript notes, the first edition of Blain's (1733) and Garreau's (1760) biographies of the Founder, and one early 18th century (1710) title which may have belonged to De La Salle himself. The original collection was expanded with an additional 3,000 titles of writings on French religious and spiritual thought in the 16th through 18th centuries, which influenced the Founder and the early history of the Christian Brothers. The highlights of this second group, which includes over 650 volumes of original editions printed before 1800, are rich collections on Jansenism, Gallicanism, Quietism, Port Royal; contemporary biblical studies; representative collections of Bossuet, Fenelon and Pascal. The Library for Lasallian Studies is a research collection for use in the Library by appointment. The Library for Lasallian Studies, although privately owned, maintained, and constantly enlarged by the San Francisco District of the Brothers of the Christian Schools, is accessible for research by students both of Lasallian spirituality and pedagogy, and of French religious thought. 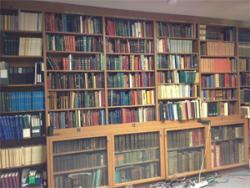 Access to the collection is available when reference librarians are on duty. Material may be used in the the Library Conference Room or at a table near the reference desk only; photocopying is generally allowed. No food or drink is allowed when using the material. Notes should be taken with pencil. Staff will return material to the appropriate shelf location. If the material from the Library for Lasallian studies is used in a presentation or publication, acknowledgement should be given that the materials used are part of the "Library for Lasallian Studies, Saint Mary's College Library / De La Salle Institute". Although the volumes in the Library for Lasallian Studies are not available to check out, the Library also has additional circulating copies of some of these these works. Check the catalog (http://albert.stmary-ca.edu) to find copies which may be borrowed (including by outside researchers through LINK+ or InterLibrary Loan).